KUALA LUMPUR (Aug 21): CIMB Group Holdings Bhd chairman Datuk Seri Nazir Razak said the establishment of a virtual board that lists out the top companies in ASEAN could be a way to promote greater capital flows within the region. During a discussion today on deepening ASEAN capital markets, Nazir said there needs to be greater awareness of companies in the region in order to improve capital flows. He pointed out that many domestic funds that are looking to diversify their portfolio usually look towards developed markets, but he said there could be better opportunities in ASEAN. "Why not we create a virtual board that lists out all the top companies in ASEAN, and make this virtual board visible across ASEAN as a whole? "On the board, there should be information of the stock, which exchange it is listed on and information on how these securities can be accessed by the investor, with full transparency on how to invest and eventually divest," he said. Nazir said enabling companies the access to the broadest range of capital providers would also provide a huge boost to the overall value proposition of being part of ASEAN. Securities Commission Malaysia executive chairman Tan Sri Ranjit Ajit Singh concurred, adding that there is a greater propensity for people to invest in markets like Hong Kong and the US rather than anywhere else in ASEAN. He noted that at the Joint Meeting of ASEAN Finance Ministers and Central Bank Governors in April, a senior finance minister had pointed out that he is able to invest in the US using mobile technology, but could not similarly invest in ASEAN countries. However, Ranjit said there are already several brokers around ASEAN that have licences in multiple countries, which allows clients to invest using mobile technology, just that the awareness is absent. "Somehow, the awareness of the opportunities for intra-ASEAN trade is not known to the finance minister — and he's a quite a plugged in individual. You can imagine the cascading effect of that. "So, one of the first things that has to be done is to pool together information around what is available out there in ASEAN in an easier manner. We need some sort of ASEAN markets information hub," he said. Besides information and research on the different investment opportunities across the region, Ranjit said the virtual hub should also provide information on taxation policies surrounding settlements and other tax issues. He said this would also be a useful tool for foreign investors that are looking at ASEAN to gather information, rather than having to go through the different exchanges. 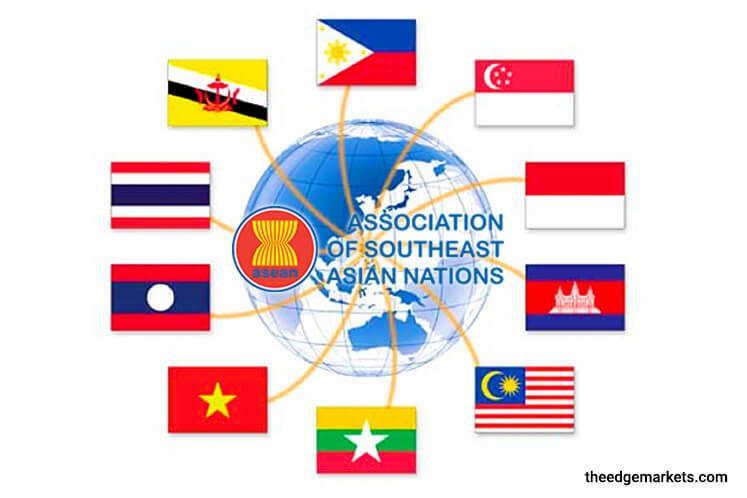 "But for this to happen, there must be a few key players within ASEAN that must come together, because ultimately it has to be an industry-wide effort. "We need to be able to elevate that. Otherwise, the notion of an ASEAN asset class remains an aspiration and capital will go elsewhere," he said. Nazir and Ranjit were speaking at the ASEAN Roundtable Series panel discussion today entitled 'Deepening Capital Markets in ASEAN: Opportunities and Challenges'. Also present were McKinsey & Co senior partner Joydeep Sengupta and CIMB ASEAN Research Institute senior research fellow Dr Bambang Irwan.